Adult volunteers across Canada and the US count the winter birds of their area during the century-old Christmas Bird Count, or CBC. These counts provide scientists with valuable information about the number and distribution of the birds. But Tom Rusert and Darren Peterie felt something was missing. Where were the kids? 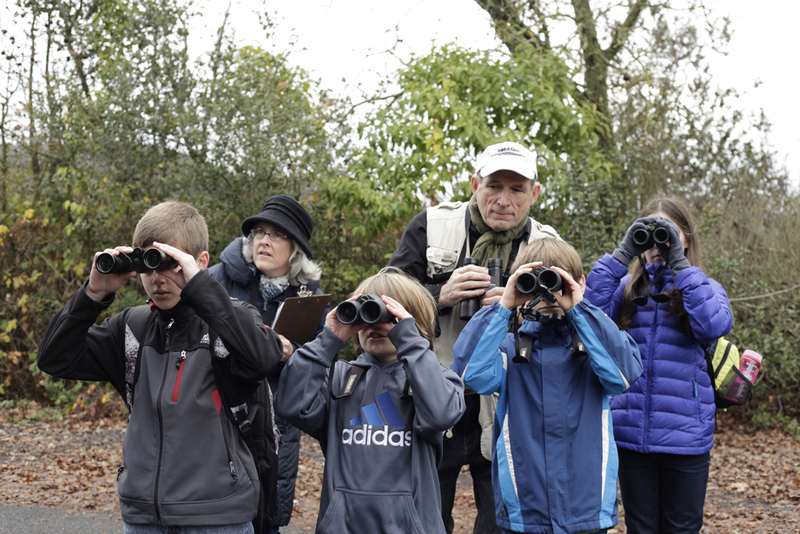 So Tom said, "Let's start a Christmas Bird Count for kids during the holidays, when families are together." Now, communities and organizations can start - or join - a CBC for kids in their hometown. Young people and their parents go out for 90 minutes on a pre-set route. Fun, and rewarding. Check it out - There may be one near you! CBC4Kids runs through December and January. About now, adult volunteers across Canada and America begin counting the winter birds of their area for the century-old Christmas Bird Count, or CBC. Their inventories provide Audubon and others in the birding community valuable information about the number and distribution of the birds. Now, from Alaska to Florida, communities and organizations can start – or join – a CBC4Kids in their hometown. Young people and their parents go out for 90 minutes on a pre-set route. TR 15:24 “…They’re moving as a team and … one is a recorder, one has a clipboard with the birding list, and the parents normally hold the bird field guides…TR 17:43 And then the beauty of it all is, …when they all come back for the tabulation celebration and I simply ask them… ‘Now how many total birds did you count? …And what was the coolest thing that happened today?’…these kids are just busting open! To get started, begin at birdnote.org. Tom and others are standing by to help you. Bird sounds provided by The Macaulay Library of Natural Sounds at the Cornell Lab of Ornithology, Ithaca, New York. Glaucous-winged Gull 3350-2 recorded by A.A. Allen and Black-capped Chickadee recorded by S.R. Pantle. Audubon Christmas Bird Count - Join in!